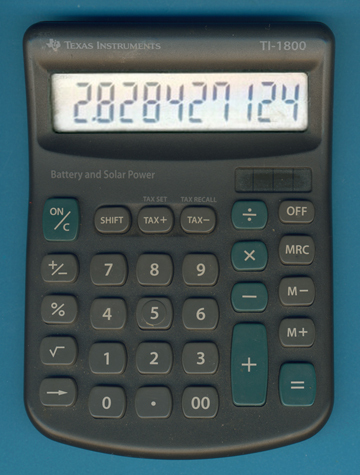 Size: 5.7" x 4.3" x 0.8"
The TI-1800 is a very useful calculator with a large and bright display. The size is boarderline to the pocket calculators. Compare it with the cheaper TI-1795+. Expensive technology and small area. Most designers try to avoid different technologies inside a product and have to decide for an expensive technology AND big area. Engineers responsible for the TI-1800 tried another way and used the display connection methode even for the keyboard connection resulting in a very cheap solution.